When it comes to quality I give it a 8.5/10. 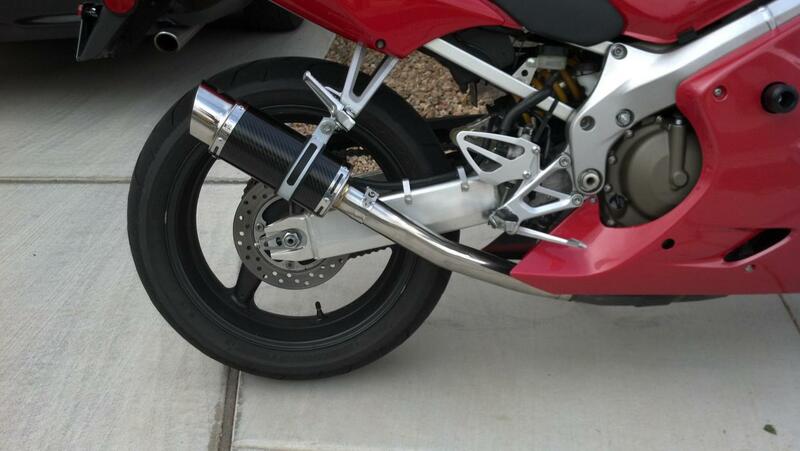 When i first got the exhaust in the mail, i was pretty impressed with the welds and the rivets that the exhaust had. It looks clean for the price. Fitment went 100% didn't have to move around anything. I didn't give it a complete 10 out of 10 because i want to see how it holds up under weathering and humidity. That's the real test to see if it begins to rust easily. This was really the test for me. I was a little worried because the outlet was so huge that it was gonna be loud but i must say, this exhaust is in a league of its own. The tone is pretty deep at idle and stays pretty deep through out the low to mid rpm range... To me is very tolerable and actually slightly louder than my old exhaust buy not by much. VERY COMPARABLE TO THE SV650 exhaust tone. 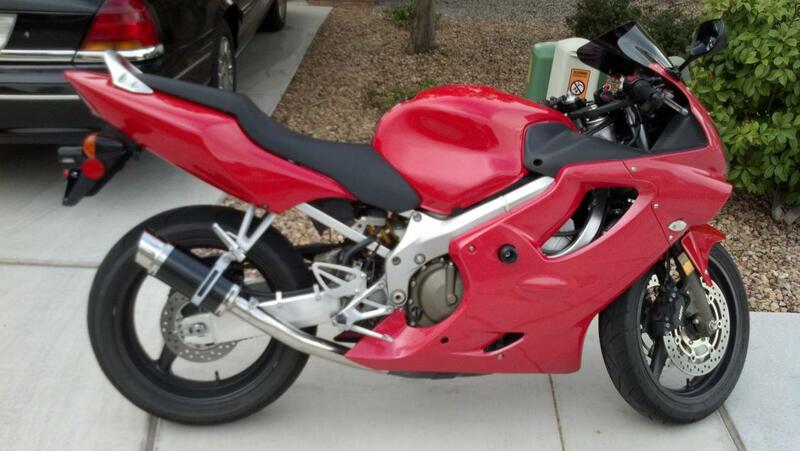 I was a little worried since the web review has a 1000cc bike and im on a 600 but its very similar. I give it a 7 out of 10 right now. I want to give it higher but i havent gone on long distance riding yet to see if it will get annoying. when i do, maybe i will change my rating. I installed the Delkevic Mini on my 2006 CBR600F4i. Damn this exhaust is frickin loud! It sounds awesome, deep and throaty. Fit and finish are excellent - no problems. If you want to be heard - the Delkevic Mini will get the job done. If you didn't previously wear ear plugs on you bike - you will after you install this silencer. Hello, I want buy the Oval Carbon. Somebody got it mounted in his bike? One more thing, somebody know if that exhaust have the top for the Central Stand? Sorry for my english, i´m trying to improve it. Hi mate. Im searching around for a decent stubby can for my CBR600F ABS 2012. Is this the bike you've attached this can to? I'm really looking for a deeper throatier rumble, rather than a loud raspy sound if you catch my drift! Any advice from anyone! Heard great things from delkevic! Gp Stubby Exhaust, any good??? 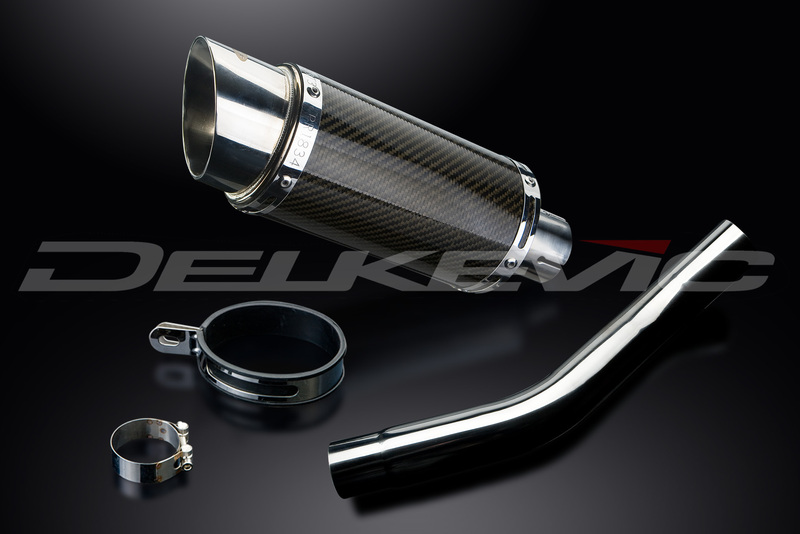 Delkevic 9" exhausts ... first impressions!